Commonwealth Games England leads and manages the participation of the English team at the Commonwealth Games and Youth Games working closely with each sport's National Governing Body, our funding partner Sport England, the Games’ Organising Committee and sponsors. We work across a 4-year cycle for each Commonwealth Games, with the most recent Games held in Glasgow in 2014 and the next Games on the Gold Coast in 2018. The size of the organisation changes during this cycle, especially in the year before and the year after a Games. In 2015 there were 4.5 Head Office staff based in Holborn, London, whereas today we have 10 staff. Games time will see a team of around 400 athletes heading off to Australia with a support staff of around 50 including volunteers. Following the Games the size of the organisation is then likely to reduce after the 2018 Games with potential growth linked to a decision around the host city for the 2022 Games. We have a strong relationship with our international body, the Commonwealth Games Federation, and can use our position to be strong and relevant. Within the last two years we have made important appointments within our own Board and Leadership teams – including our President, Chairman, CEO and Chef de Mission. The Board has also recruited three female Non-Executive Directors with experience in marketing, athlete/Games success and para sport. Following an extensive skills audit we are now underway with our recruiting of new Board members. Our vision, mission and core values which follow are taken from our Sport England Plan submitted in April 2016 and an extract can be found on the CGE website (www.teamengland.org). We take pride that our values of equality, diversity and inclusion are a true expression of our daily work. Our team, Team England will be almost perfectly balanced on the Gold Coast with anticipated numbers of 201 male athletes and 204 female athletes. Across the competition programme there will be equal numbers of medals available for the first time. For the staff we predict a split of 130 male and 70 female across the sports. We see an ever-increasing number of events for para athletes included at each Games. This event is the only multi sport Games where there is full integration. For the Gold Coast there will be seven para sports with all medals won added onto just one medal table. There is a diverse range of disabilities but always inclusion within a team such as cycling and para cycling, which is one sport led by one team leader. We have sports that do not feature in an Olympics such as squash and netball nor a Paralympics such as bowls. There is also a blend of sports, which are funded or not by UK Sport. Whatever their profile at this time all sports are working on their own Diversity Plans. To assist with our own priorities and actions we have set time lines which work around the next major Games in 2018 and 2022 using each as a public platform to confirm our commitment to diversity. At CGE our vision is to empower our athletes’ success and inspire personal achievement through the power of sport. To deliver Team England success in the Commonwealth and Commonwealth Youth Games. Our core values of equality, diversity and inclusion can be seen throughout CGE. The culture and identity of athletes and staff competing for Team England next April has been formed through a piece of work led by our Chef de Mission, Sarah Winckless and the 19 team leaders. It is based around the word PRIDE with a letter representing performance, respect, inspiration, diversity and excellence. Across the three areas of recruitment, engagement and talent we propose the following timescales against our actions. This action plan is designed to be a live document and will continue to be reviewed and evolve over time. I am very proud to introduce our first formal Diversity Action Plan. Equality and diversity are at the heart of everything we do at Commonwealth Games England. Indeed on the Gold Coast men and women will compete for equal medal opportunities alongside the largest ever para programme across seven sports: athletics, swimming, para-powerlifting, bowls, table tennis, cycling and triathlon. Commonwealth Games England has made some progress in making our board more diverse but we still have more to do before we achieve the gender parity, BAME diversity and disability representation to which we aspire. Our recruitment plans are already well underway and we look forward to announcing new non-executive directors in due course, in succession to the three directors who will be retiring in 2018. We’ve worked hard to communicate our commitment to diversity both internally and externally. We really value our strong relationships with our member National Governing Bodies and will increasingly use this platform to get our commitment to diversity across. 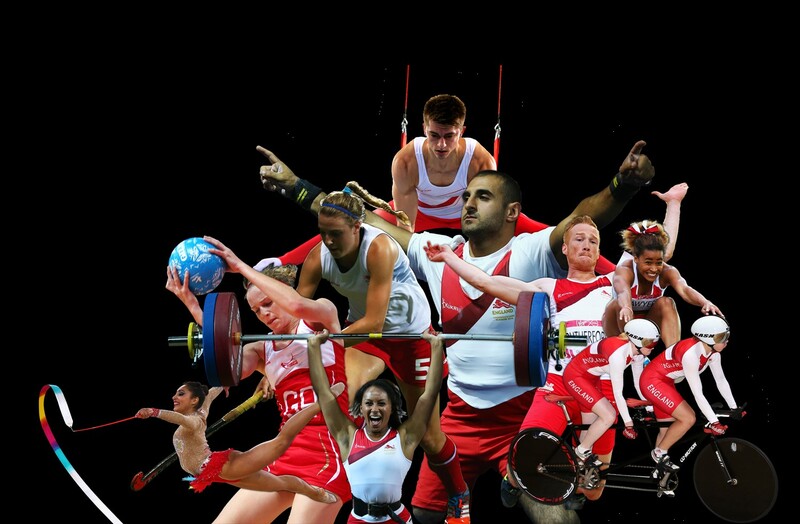 We’ll use the spotlight of the Commonwealth Games to highlight the diversity of Team England. I’m particularly pleased to see more diverse talent progressing at every level – from athletes and coaches to our volunteers, staff and board. In the future we will be aiming to create more opportunities for this to happen on an even larger scale. In which regard I suspect we might be one of the few governing bodies which needs more men at executive level to meet the gender equity requirements! As part of our Action Plan, I’m delighted to announce that one of our Non-Executive Directors, Dawn Newbery, has taken on the newly created role of Diversity Champion for the organisation. Dawn has been our para-sports representative on the board since 2015 and has a wealth of experience, particularly in the disability sports arena. Thank you to Dawn for her efforts in helping the board to produce this action plan. I want to underline my absolute and personal commitment to leading the board to achieve a minimum of 30 per cent of each gender on our board, and the other diversity requirements of the Code for Sports Governance. This plan sets out the actions we will be taking to meet the requirements and we will monitor our progress in delivering the plan at every board meeting. We are not doing this because the code requires us to do so. We are doing it because we firmly believe it is the right thing to do, and that a more diverse Commonwealth Games England will be an even better and stronger organisation. Delivering this plan will give us the diversity of skills, experience and knowledge we need to become a more effective and representative organisation in the future.